This side dish can go with almost anything and can quickly bulk up a meal when you realise last minute you havnt’t made enough food… something that happens pretty often to me with the amount of food a crew of hungry sailors can eat! It’s the perfect last minute dish and is absolutely delicious, I could eat this everyday. 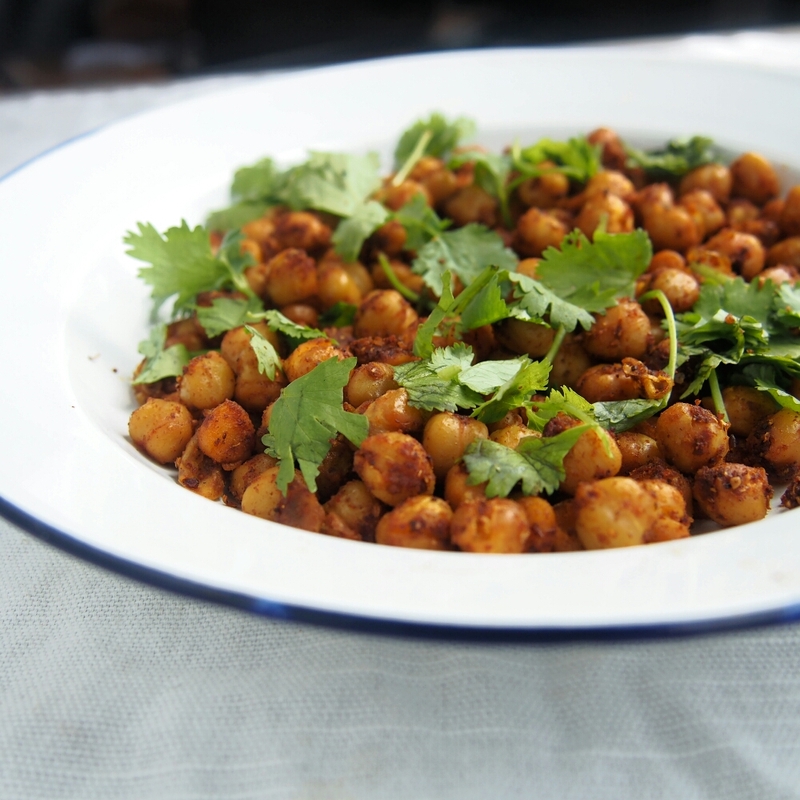 Its so versatile… serve as a side dish with other curry dishes, rice and flat bread, wrap up in a tortilla with chutney, vegan yogurt and salad, or just eat plain as it comes topped with tons on fresh coriander. 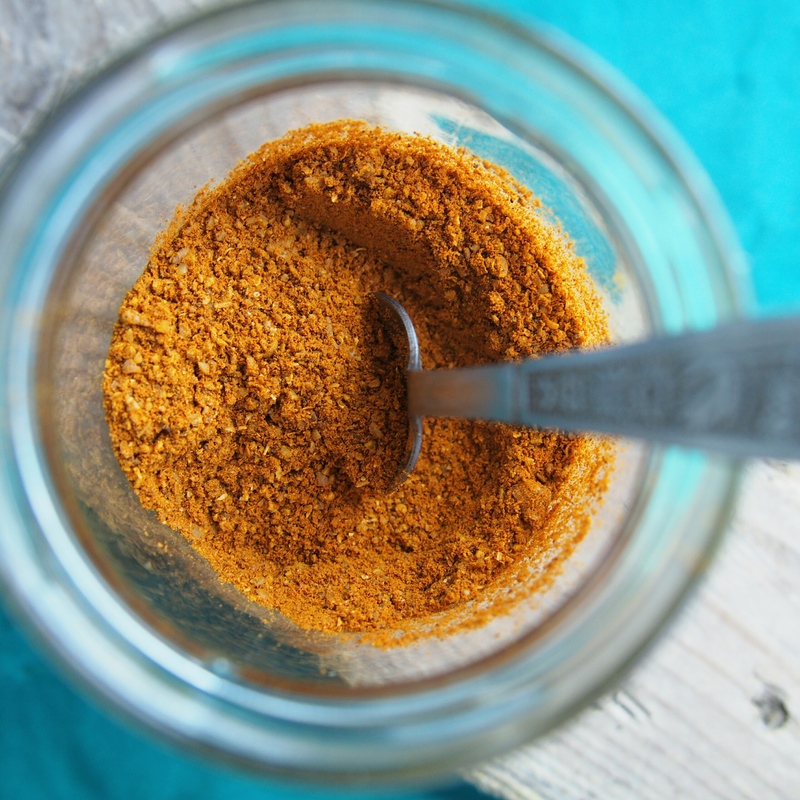 I like to make a big batch of this spice mix to store with my other herbs and spices so I can sprinkle it on other dishes… I particularly love it on oven cooked potato wedges. 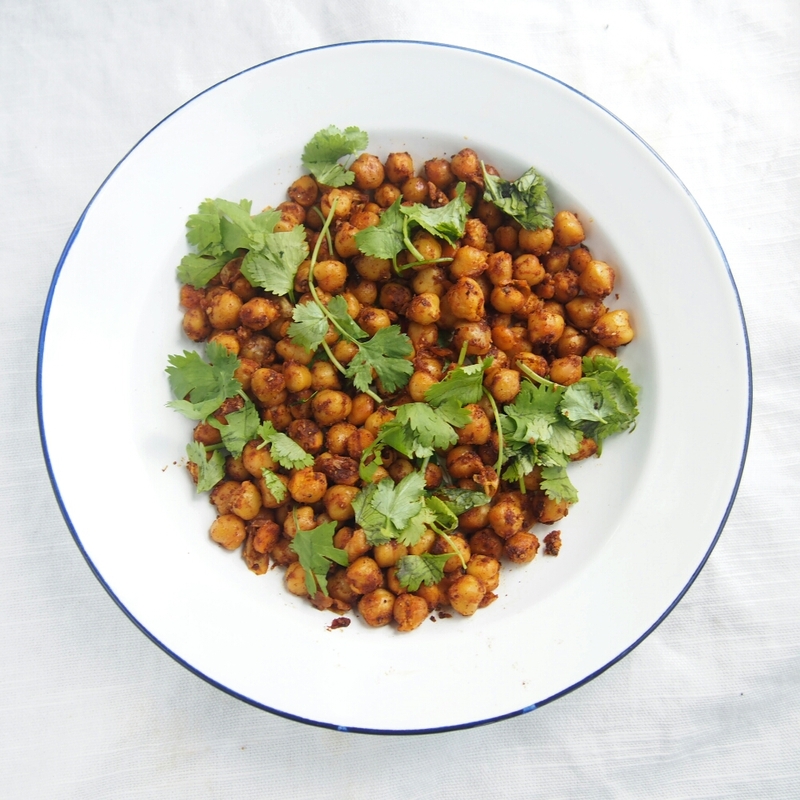 With this recipe I used chickpeas as I find them so versatile I always have a few cans stored away for emergencies. Heat olive oil in a non stick frying pan then add the chickpeas. Sprinkle on the spices and water and stir until the chickpeas are evenly coated. 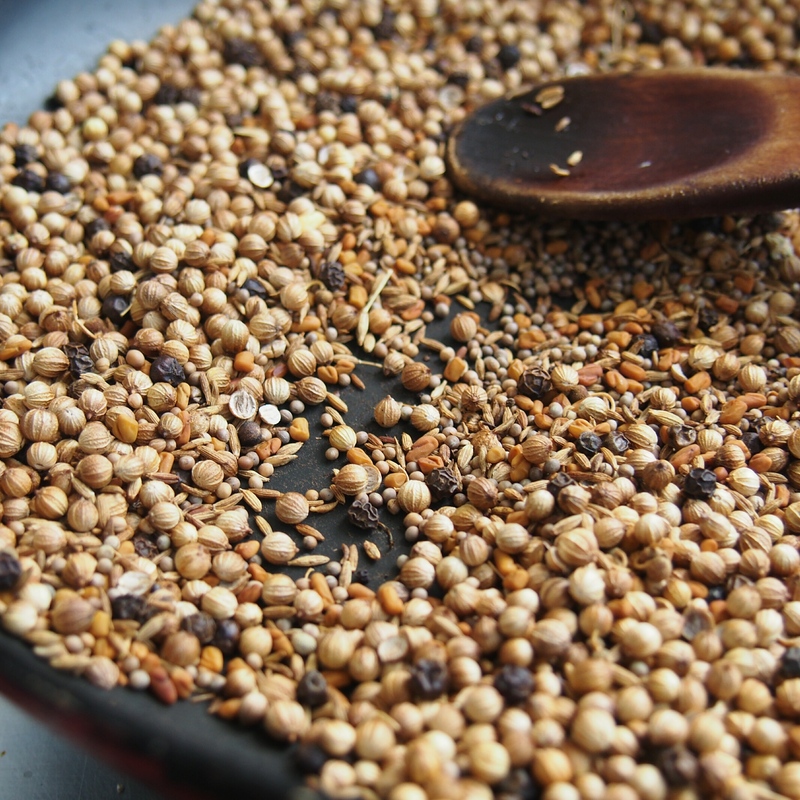 Lightly toast the coriander, mustard, cumin, fenugreek seeds and peppercorns for a few minutes until aromatic and you can hear the mustard seeds start to pop. 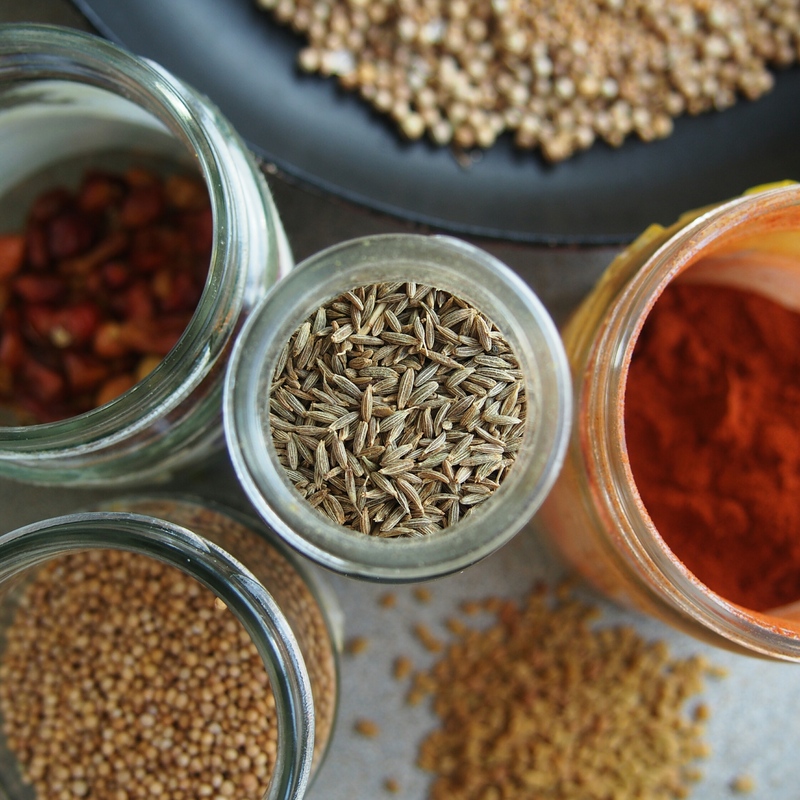 Place all ingredients including toasted seeds in a blender/coffee grinder/pestle and mortar and grind everything into a powder. Store spice mix in a clean airtight jar.